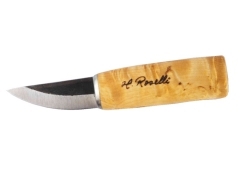 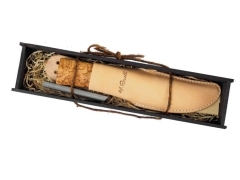 Roselli - Toolshop - OutTac Gear - High Quality European Cutlery since 1996! A traditional, thin bladed Puukko for many purposes. Smaller version of the Hunting Knife. 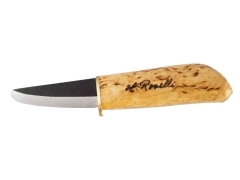 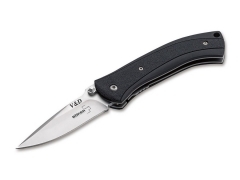 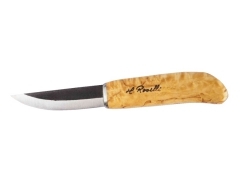 A handy pocket sized knife for cutting small items and craftwork. 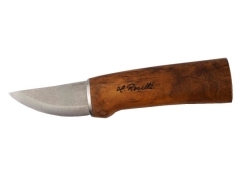 The masterpiece of the Roselli smithy - combining traditional carbon steel forging with functionality and beauty. 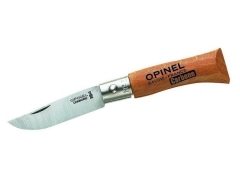 Imagine using your forefinger as a tool for carrying out precise and demanding cutting work. A general purpose Puukko in Wootz UHC steel. 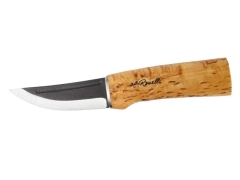 Smaller version of the Hunting Knife. 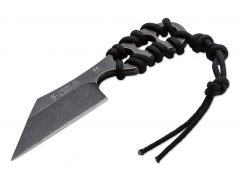 The extravagant blade style finds more friends every day.